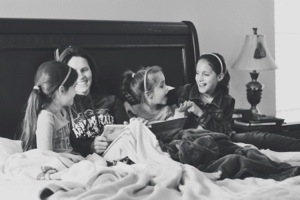 My favorite thing about homeschooling during the cold weather is all the time we have to snuggle! We are Florida girls, that can’t take anything below 70 degrees so, half of our schooling is completed with lots of blankets! *Does your schooling change during the winter?